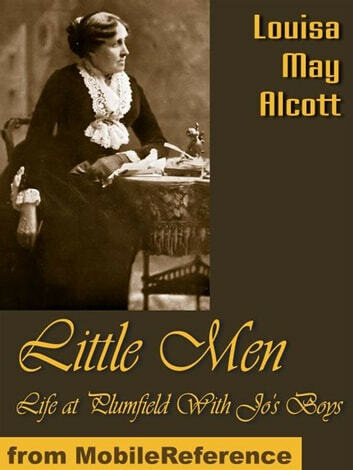 Little Men (published 1871) is considered the second book of the Little Women trilogy written by Louisa May Alcott. (The book Good Wives (1869) was originally the sequel to the novel Little Women (1868), however those two novels are now usually published as a single volume.) This book was inspired by the death of her brother-in-law, which reveals itself in one of the last chapters, when a beloved character from Little Women passes away, affecting the entire cast of characters. The final book of the trilogy is Jo&apos;s Boys (1886). Excerpted from Wikipedia, the free encyclopedia.